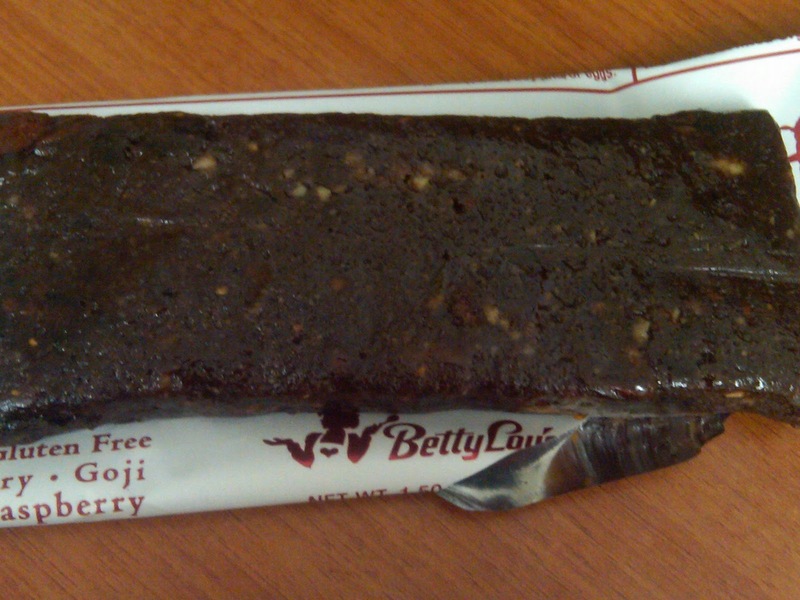 Gluten Free Beat ®: Betty Lou's Just Great Stuff, Yes, it's Gluten Free! 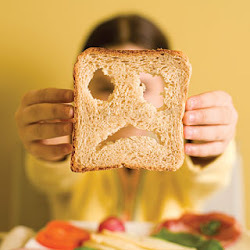 Every time I go into a health food store, I look for gluten free products I have not yet tried. I want to know what's out there, especially if it's good! 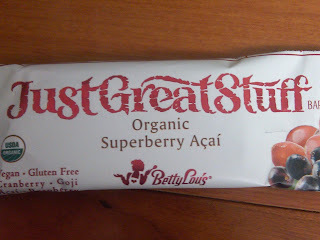 I picked up a "Just Great Stuff" bar - Strawberry Acai flavor -- how could I go wrong?? I love both! I have to admit, it is Just Great Stuff. The bar may not look like its delicious, but, wow, it really is. 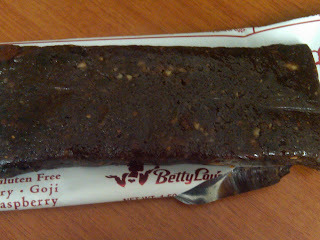 ﻿﻿﻿Turns out Just Great Stuff is made by Betty Lou's, and the Gluten Free Fruit Bar, which I also planned to tell you about is made by Betty Lou's as well! Betty Lou let's you browse by allergy, for a peak at all of her gluten free friendly products, click here. This Fruit bar comes in Strawberry, Blueberry, Cherry, Apricot and Apple Cinnamon! 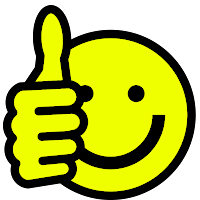 HUGE THUMBS UP FOR BETTY LOU!!! She's found a way to make a healthy gluten free snack that also tastes great!! 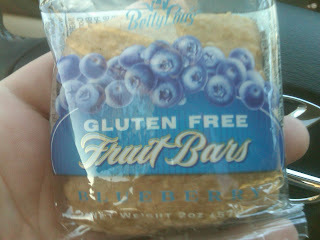 I LOVE the fruit bars! I've been buying them for months! 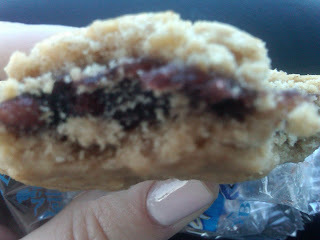 They certainly cover for the one food I've been truly missing: Fig Newtons! It's Not Every Day I'm Quoted in MSNBC! Garden Lites, Healthy & Delicious?